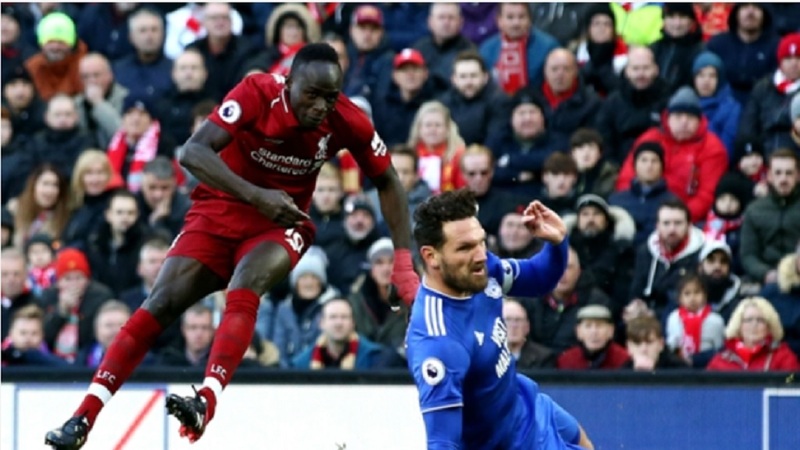 Liverpool moved to the top of the Premier League as Sadio Mane scored twice in a routine 4-1 win over Cardiff City on Saturday. 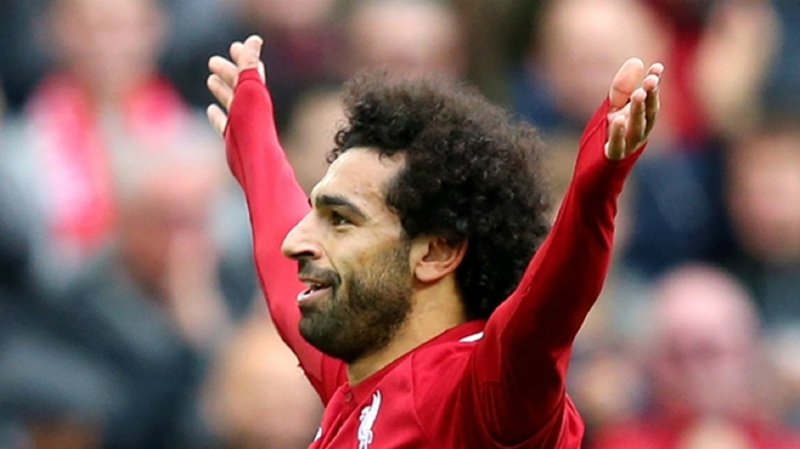 Mohamed Salah gave the Reds an early lead, moving on to seven goals for the season following his midweek brace against Red Star Belgrade. Cardiff showed a touch more ambition after half-time, although Mane finished emphatically in the 65th minute before Callum Paterson became the first visiting player to score at Anfield in the Premier League since February. Xherdan Shaqiri settled any nerves by crowning a lively cameo with a crisp 84th-minute finish and Mane added further gloss, matching Salah's haul of seven for the season and putting Jurgen Klopp's unbeaten side three points clear of champions Manchester City, who take on Tottenham on Monday. Cardiff's resistance lasted until the 10th minute, when Salah backheeled to Trent Alexander-Arnold and peeled off on a run into the box. 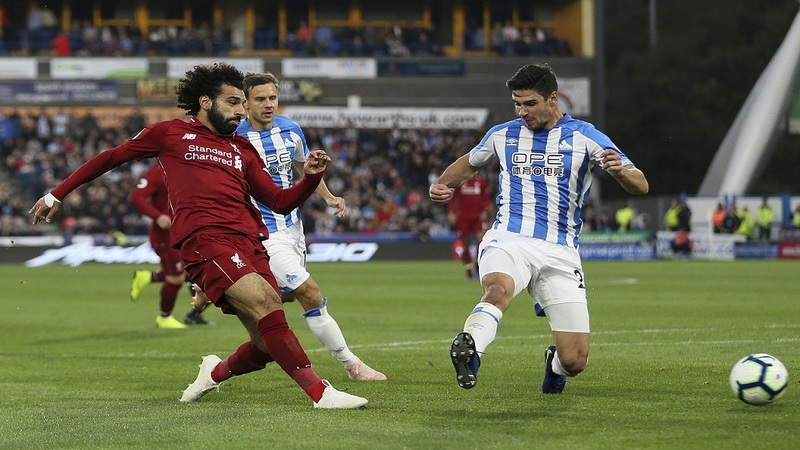 From that point, chaos ensued, with Sean Morrison and Sol Bamba unable to clear the cross before Salah followed up to slam home after Mane's shot was blocked. 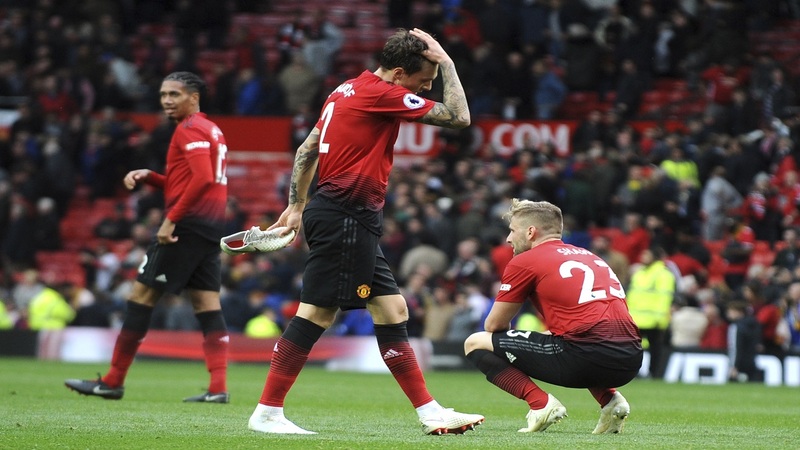 Virgil van Dijk's header bounced to safety off the post as Cardiff continued to wobble but their massed defensive ranks managed to reach the interval with no further damage – Morrison clearing off the line from the recalled Adam Lallana in the half's final act. Cardiff's faint threats of revival were snuffed out when Mane, who appeared to have bundled his way down a blind alley, crashed a venomous left-footed strike past Neil Etheridge from 16 yards. Just as the match looked to be meandering to a close, Paterson prodded in Junior Hoilett's low right-wing cross at the near post. Yet the goal stung Liverpool into life, with Salah laying on Shaqiri's goal and releasing Mane to dink a cute finish over Etheridge.